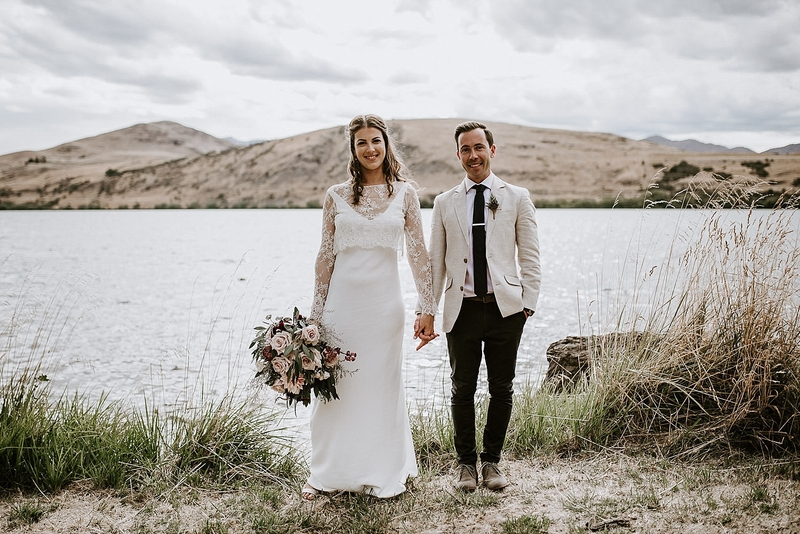 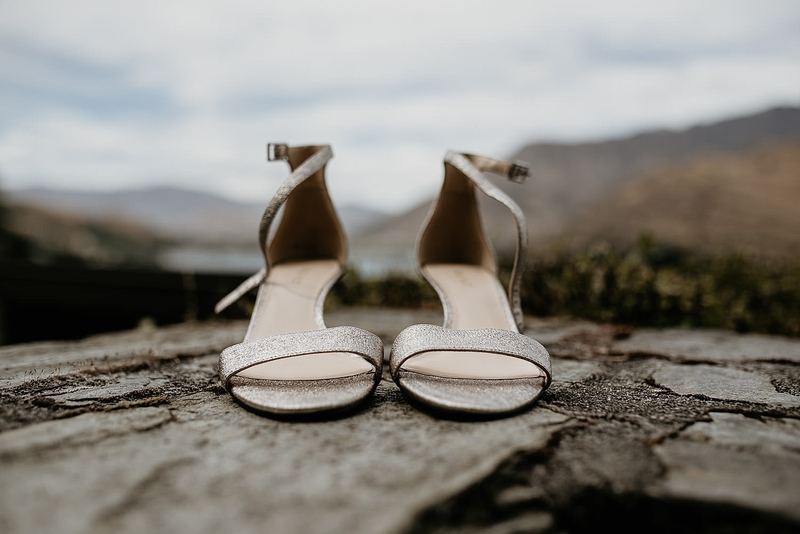 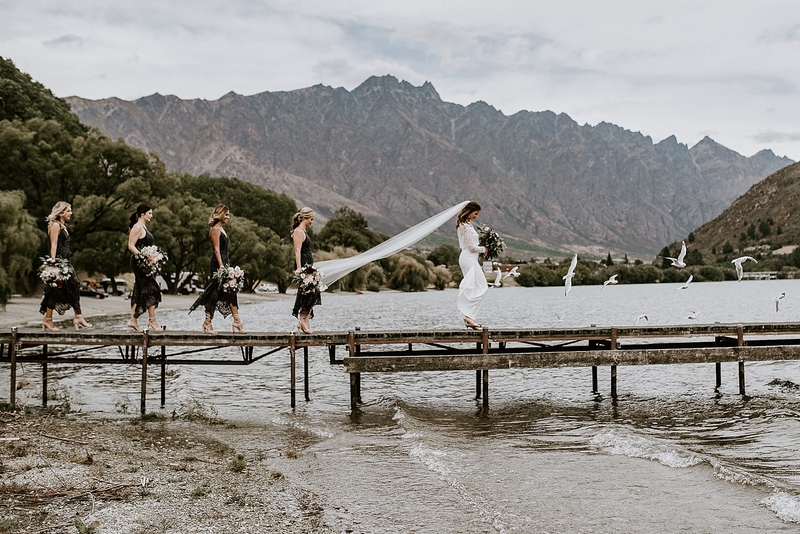 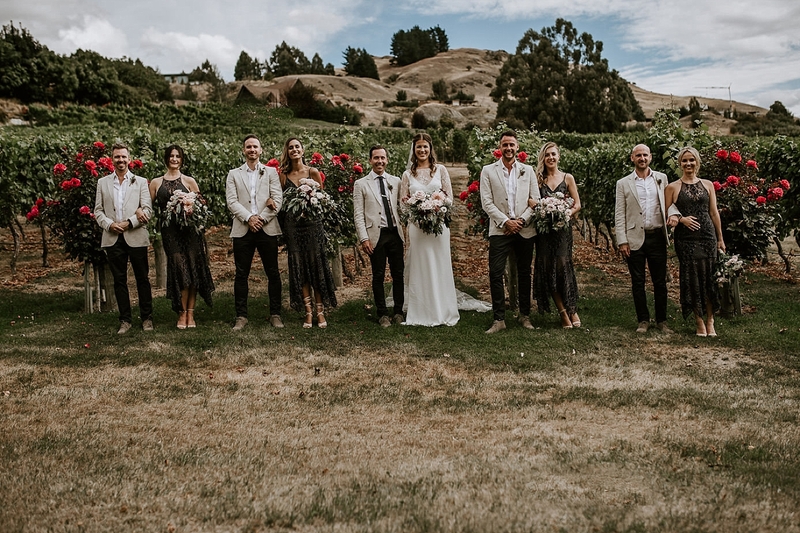 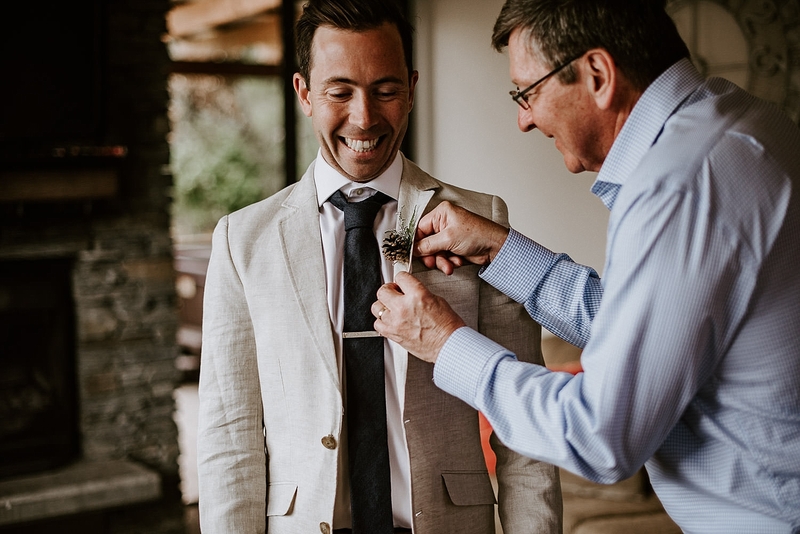 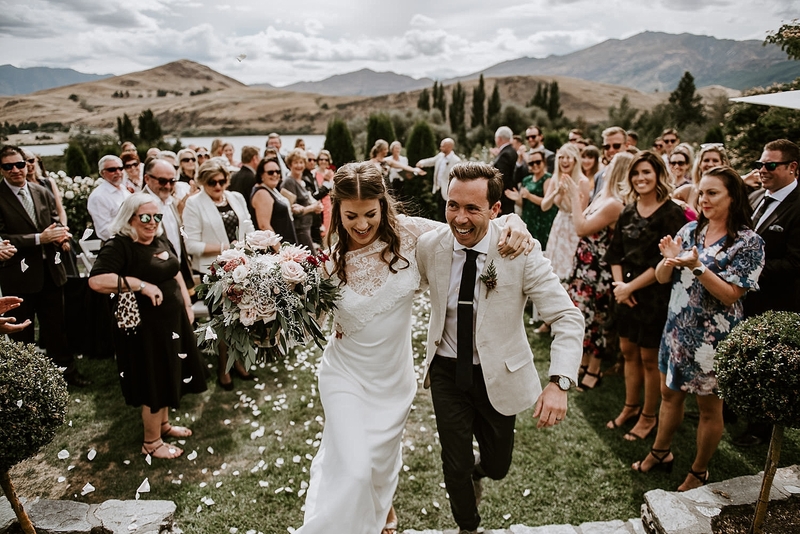 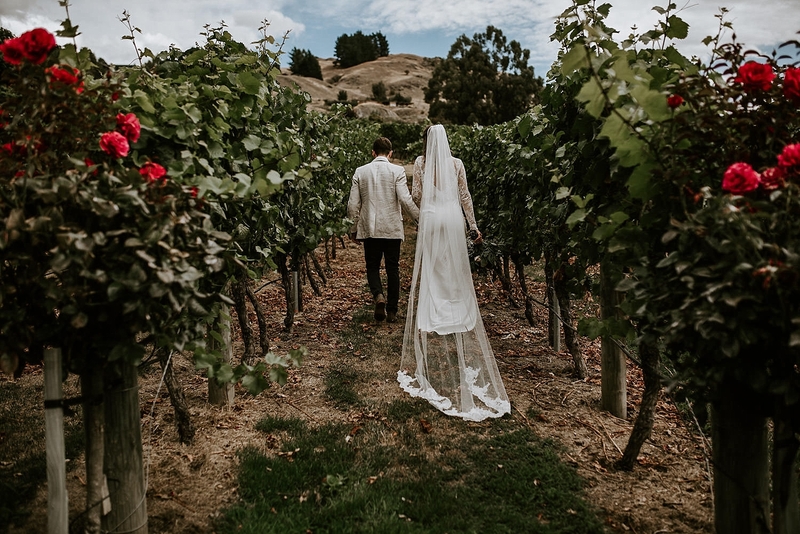 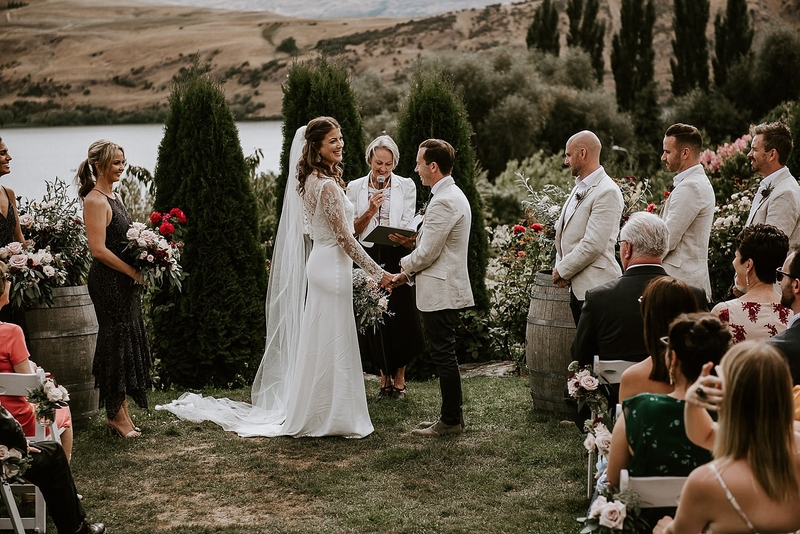 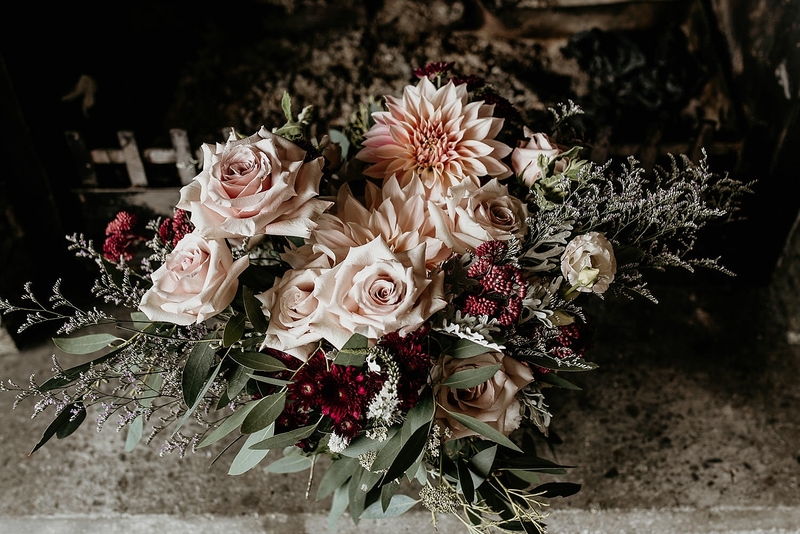 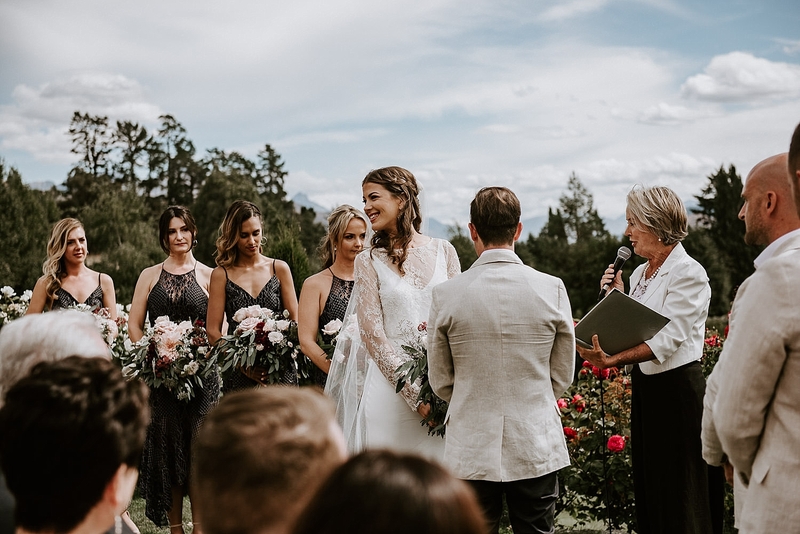 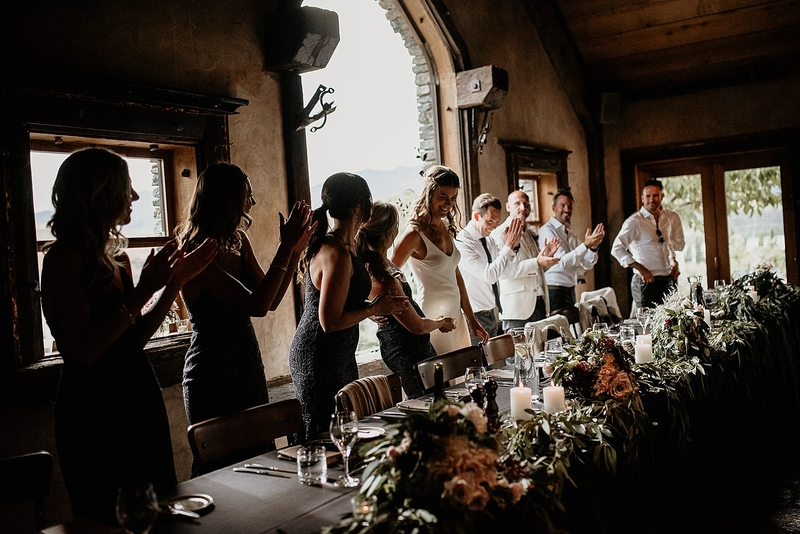 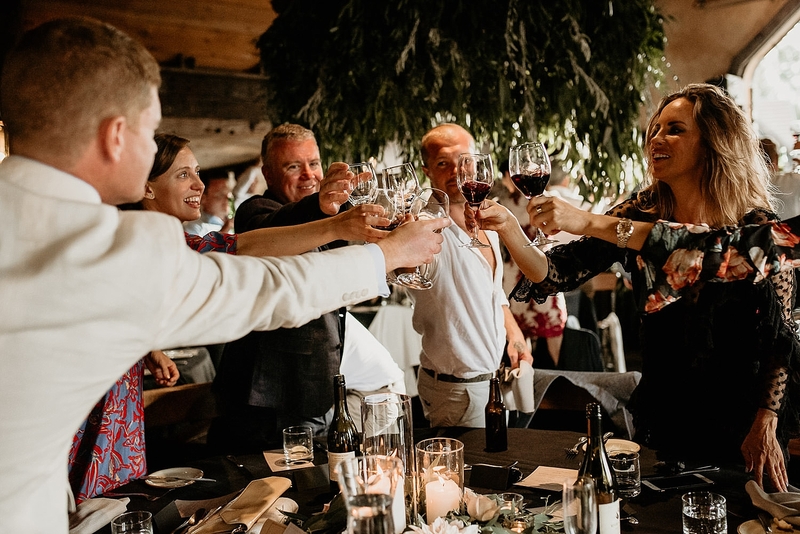 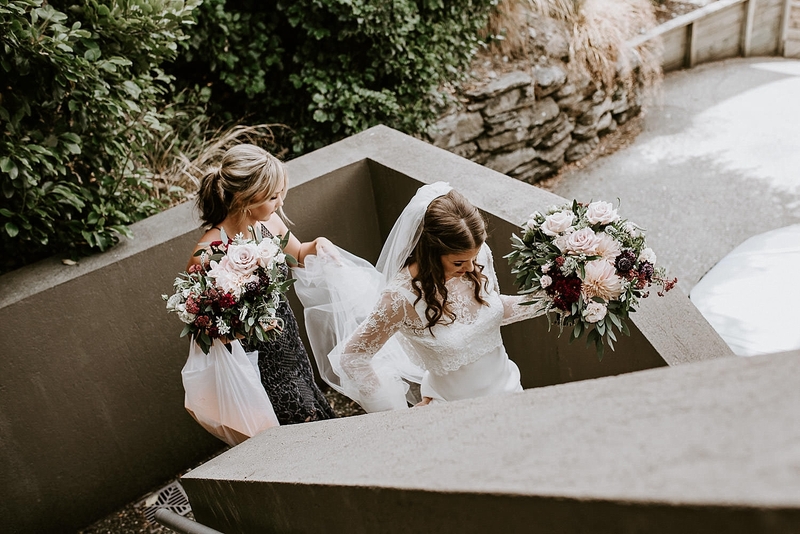 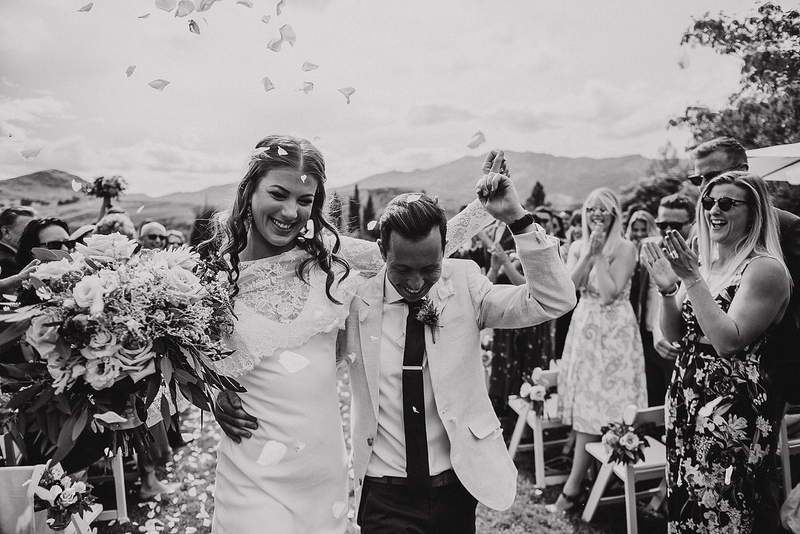 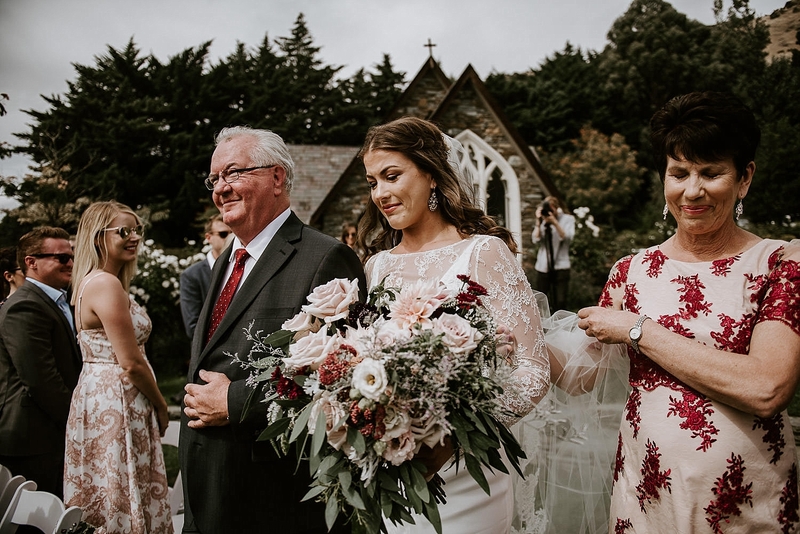 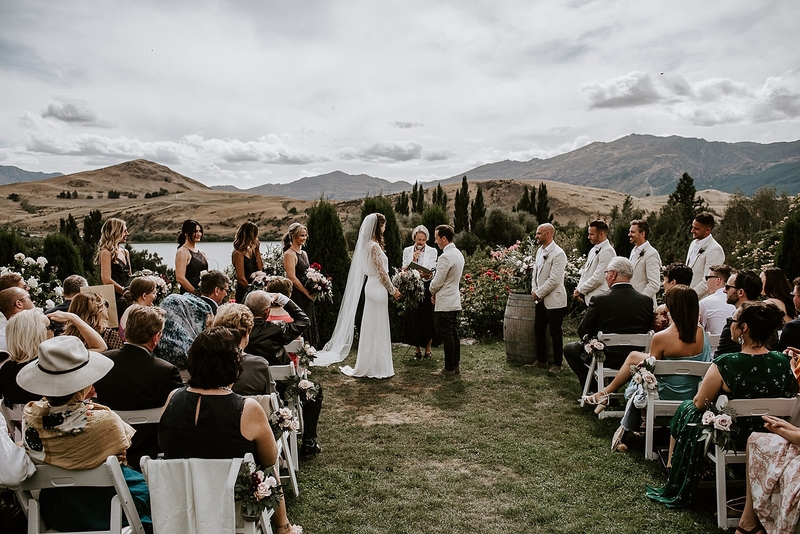 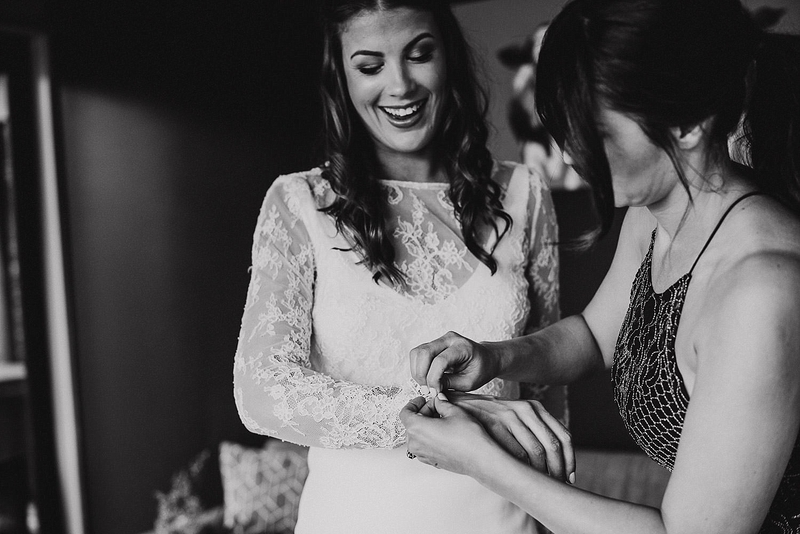 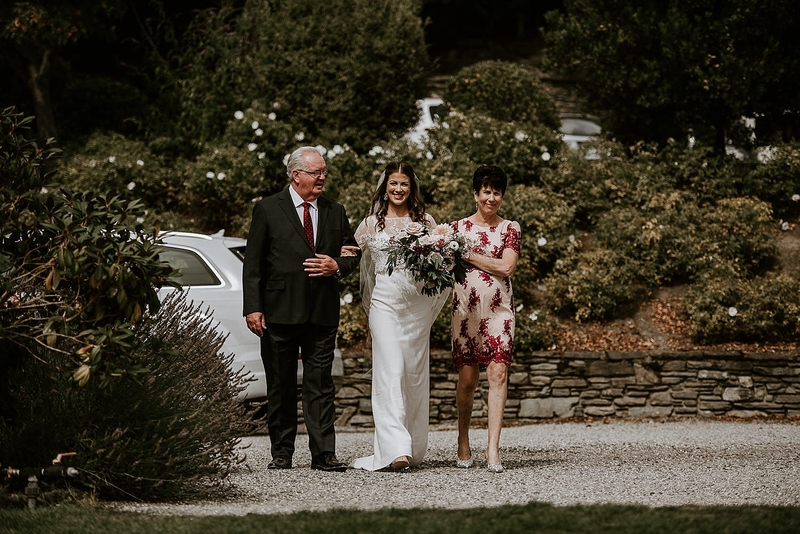 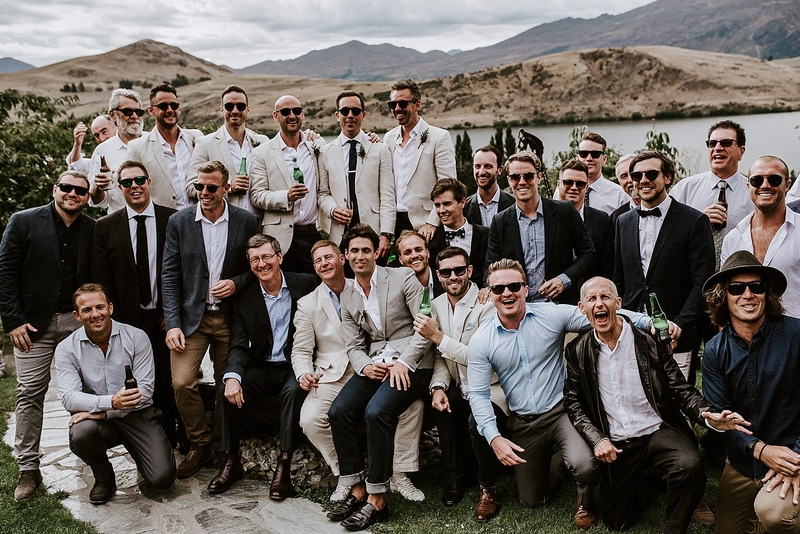 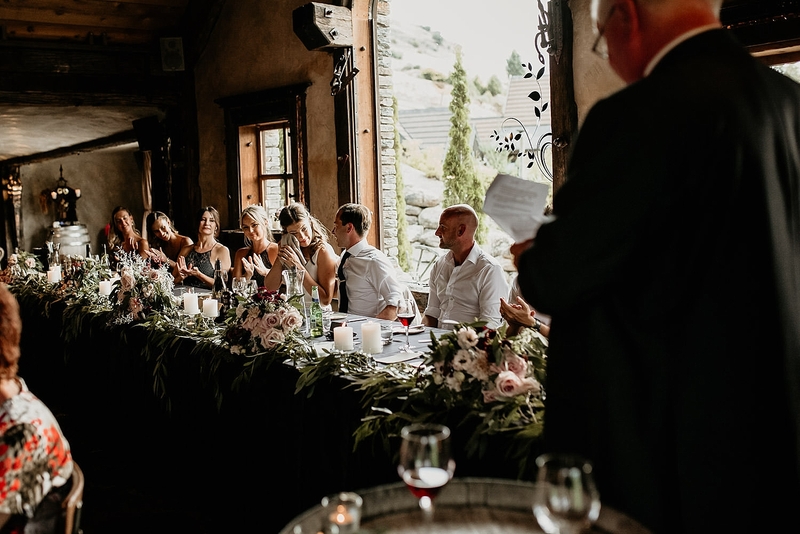 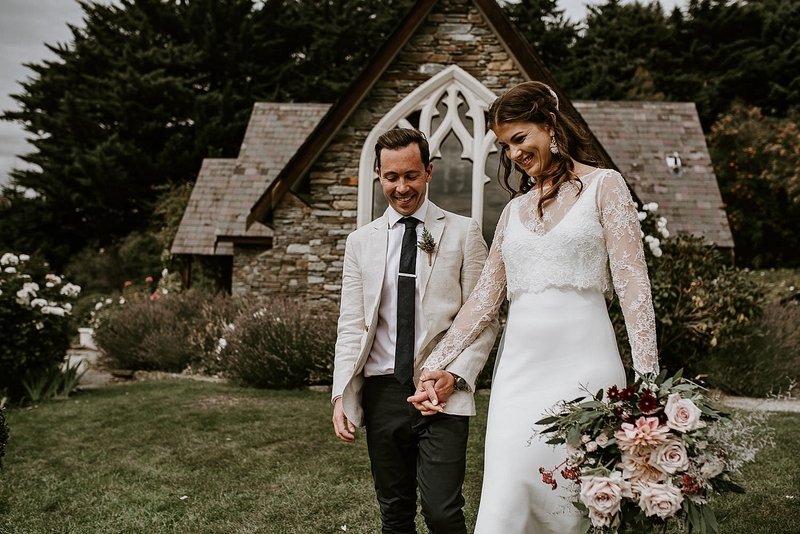 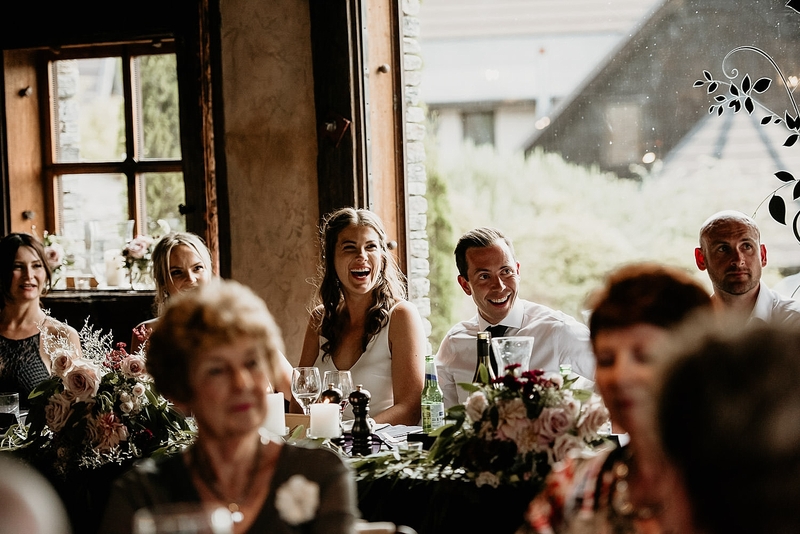 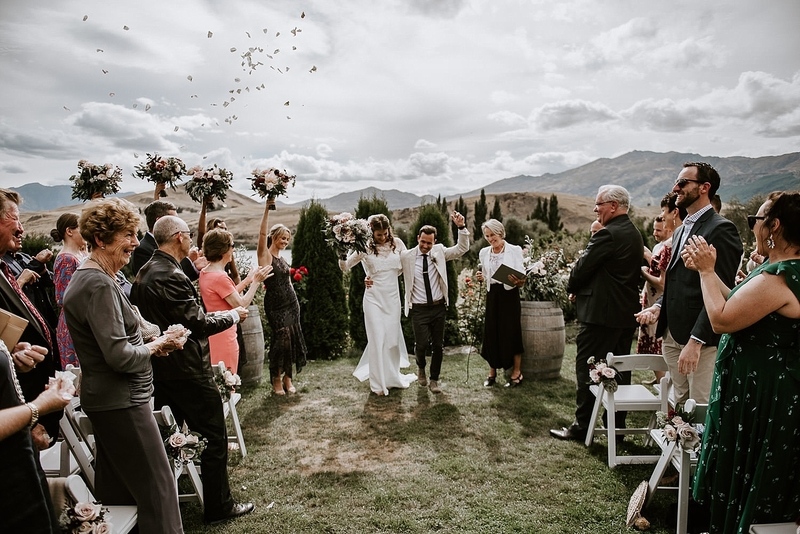 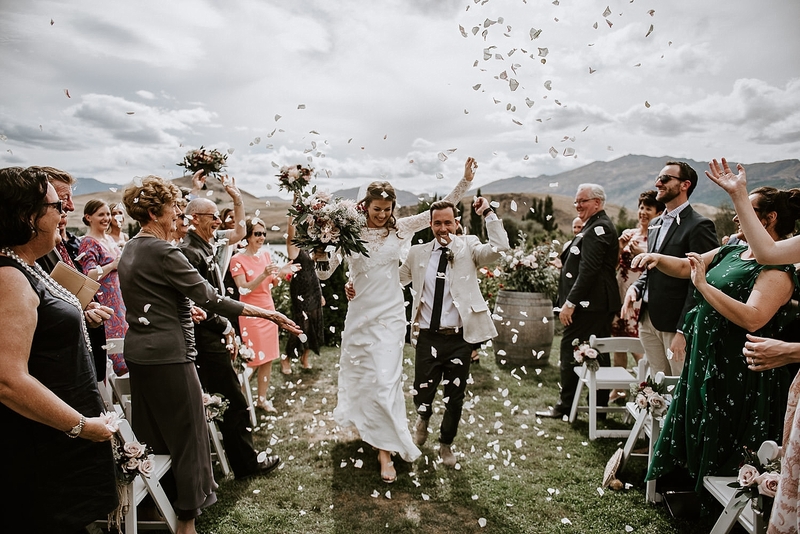 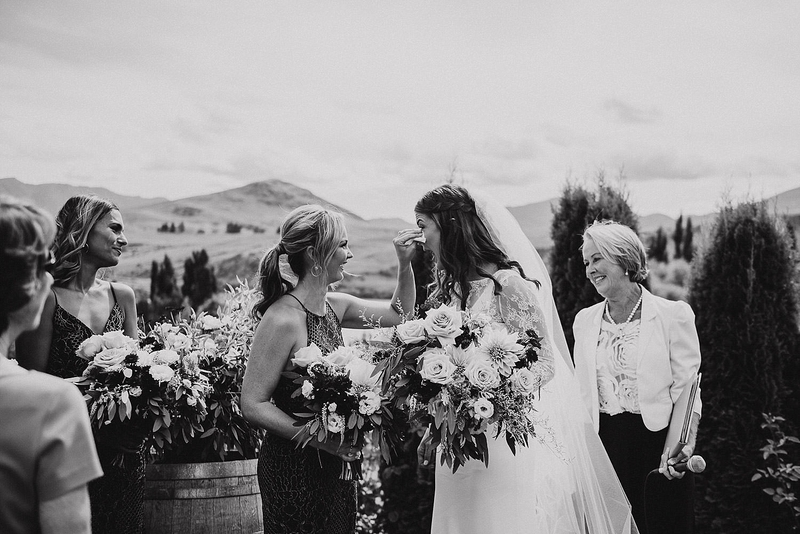 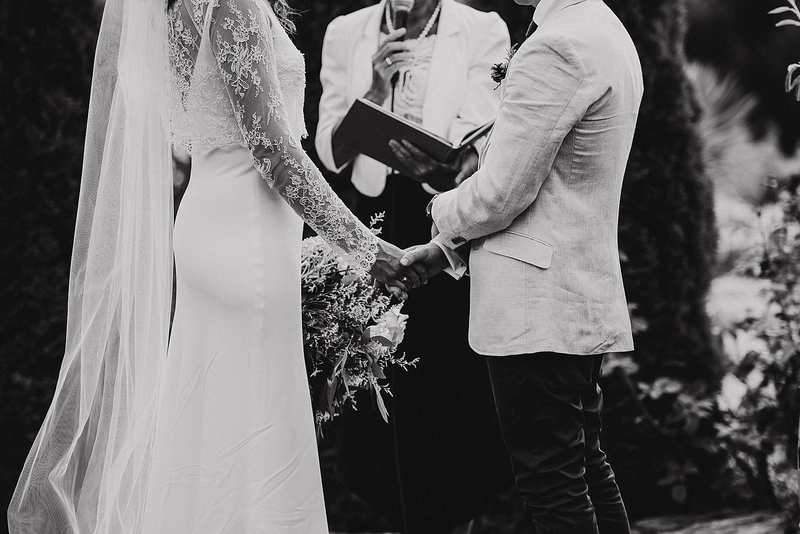 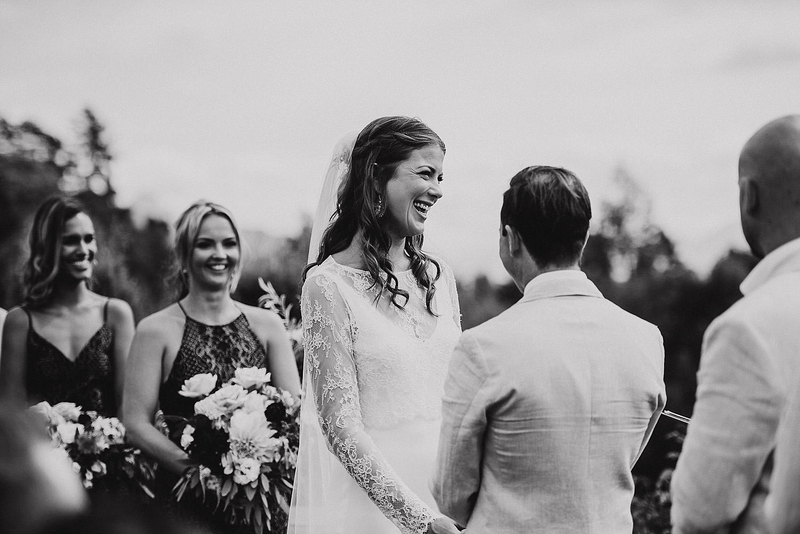 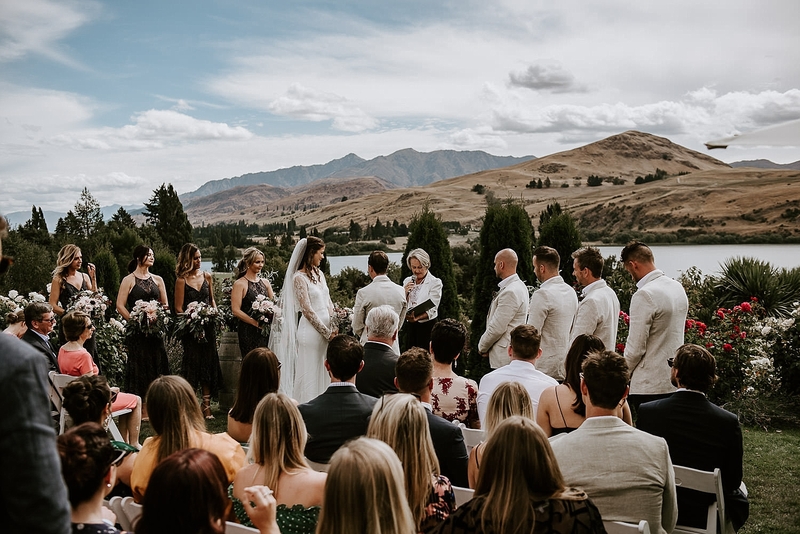 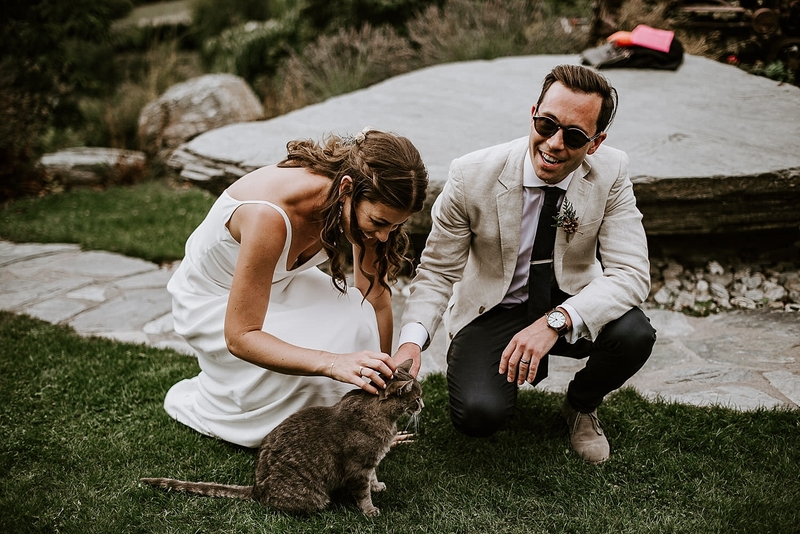 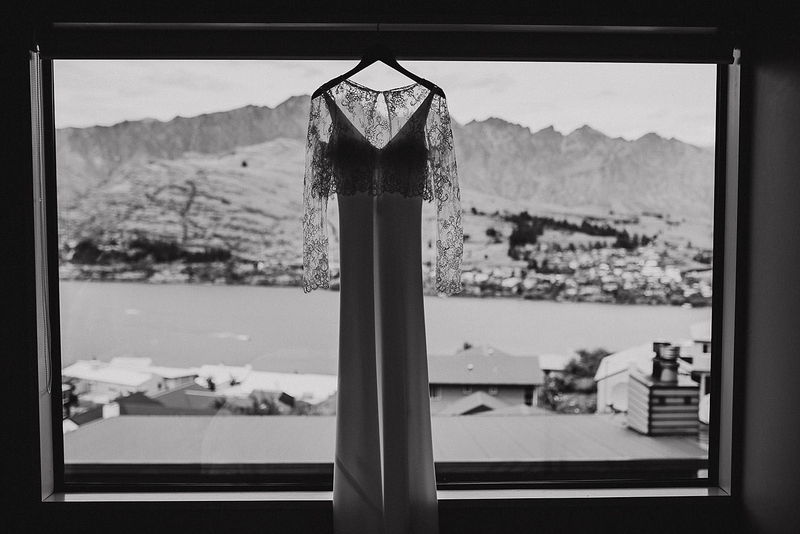 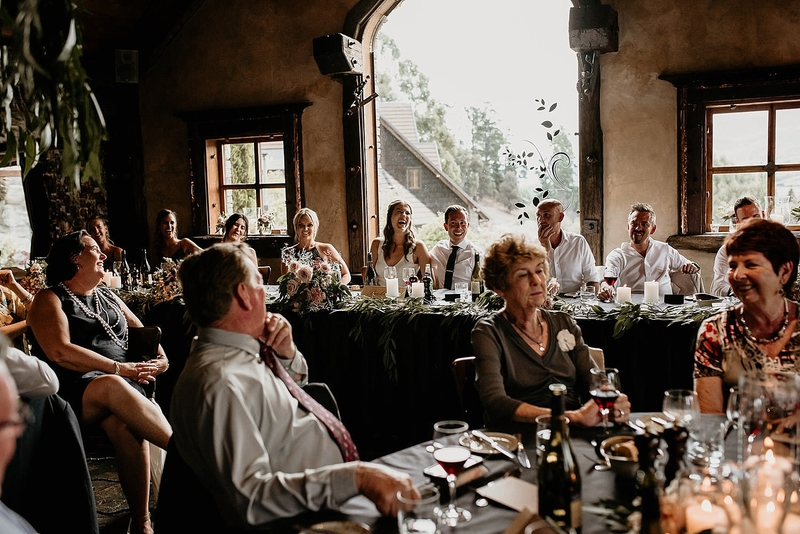 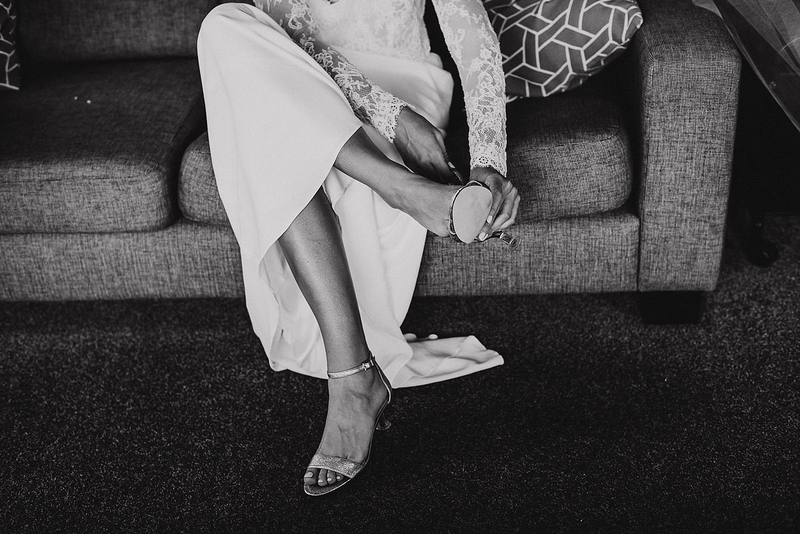 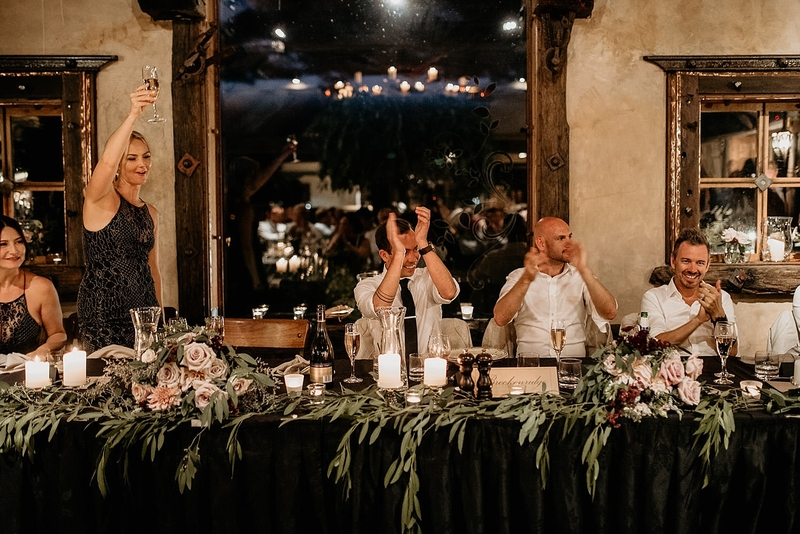 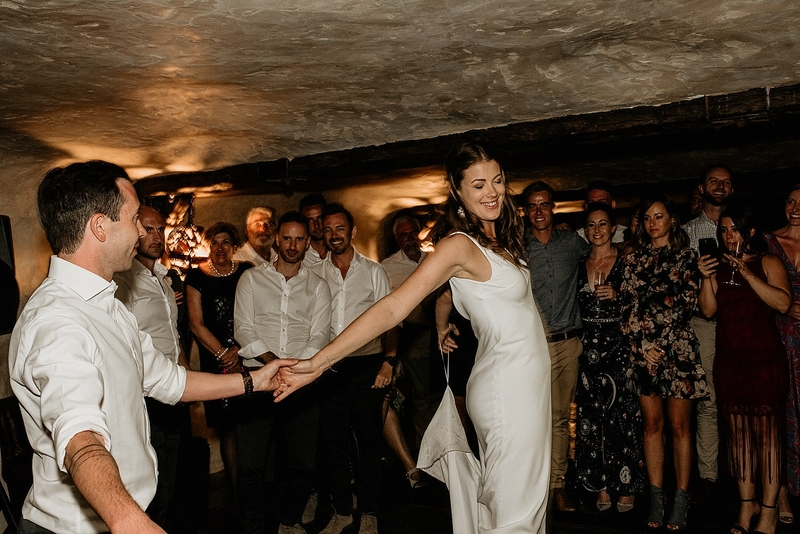 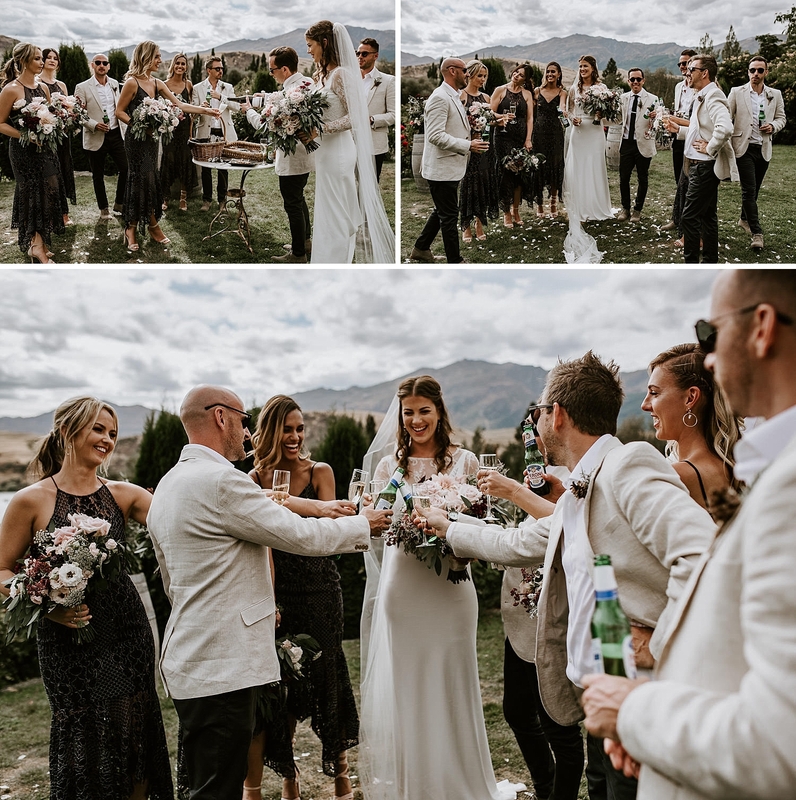 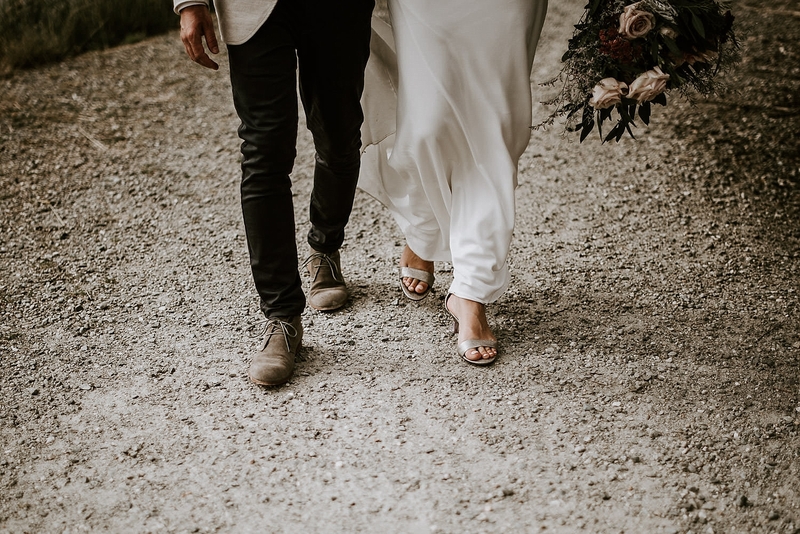 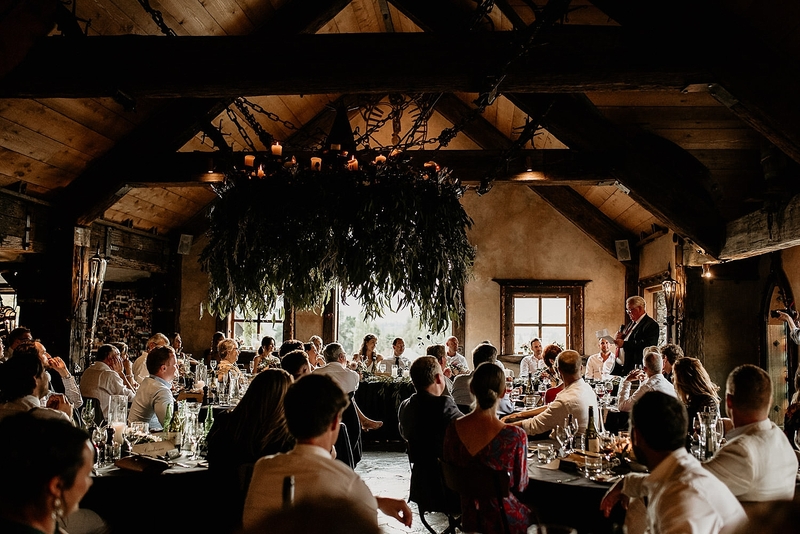 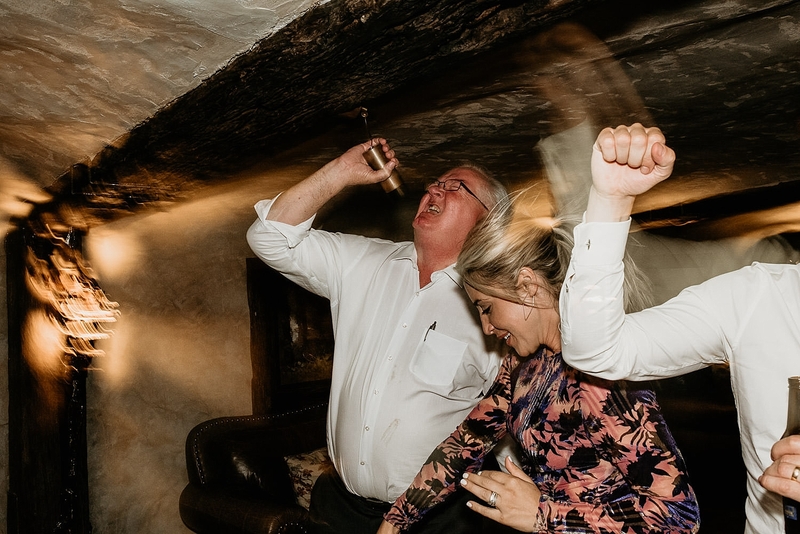 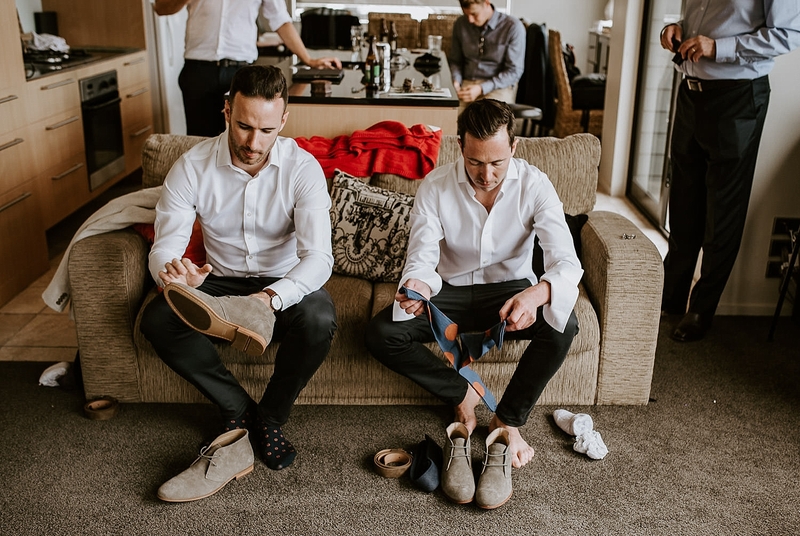 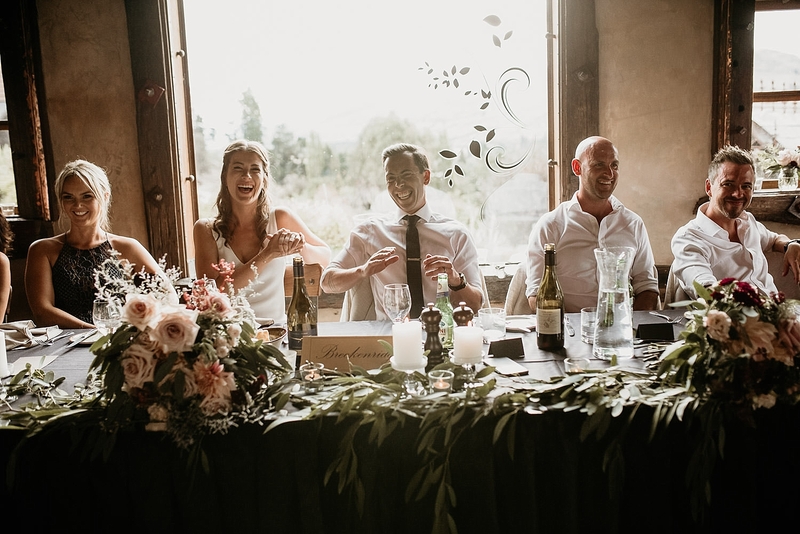 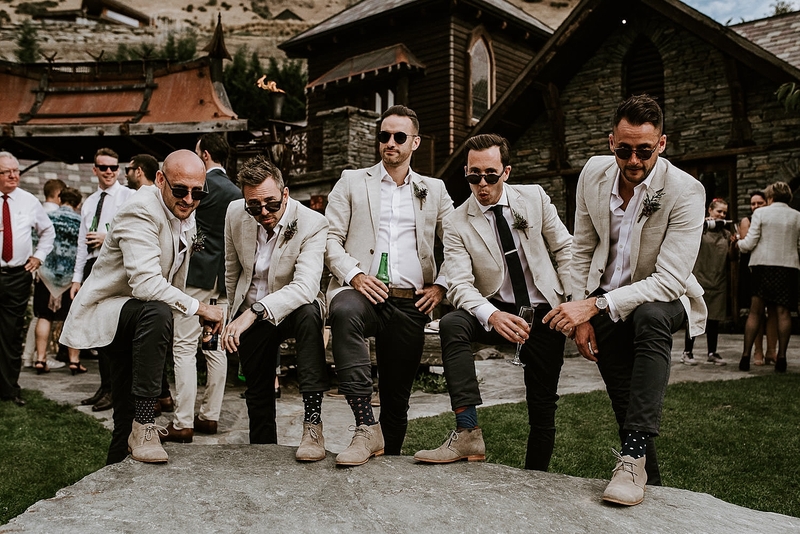 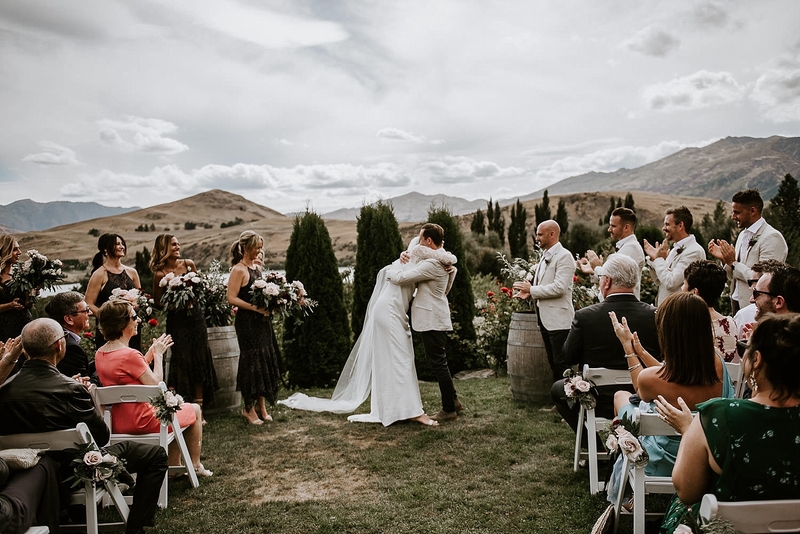 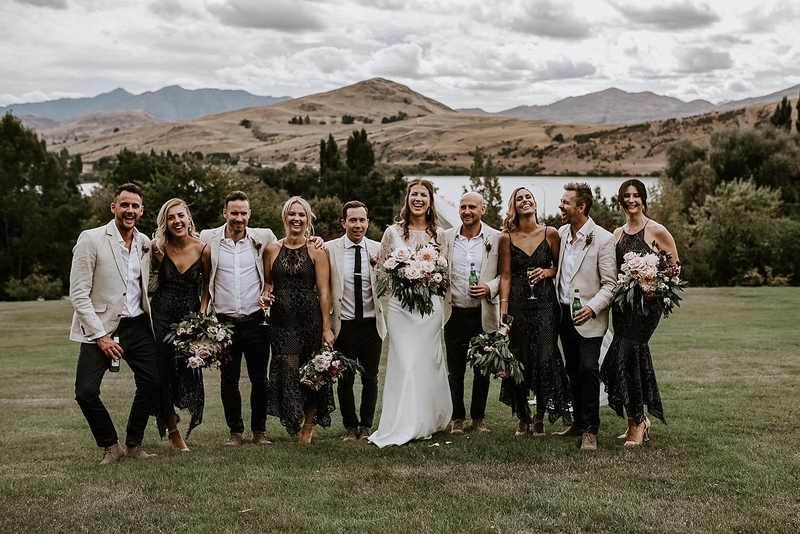 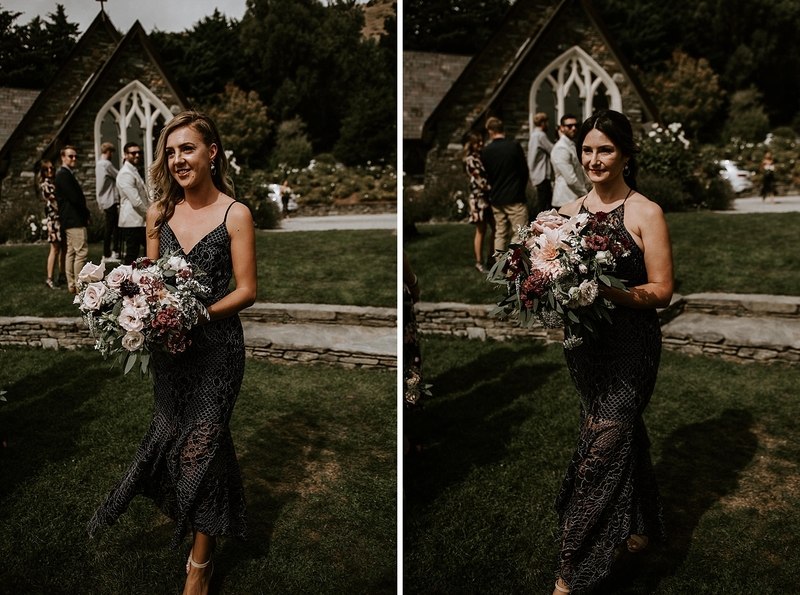 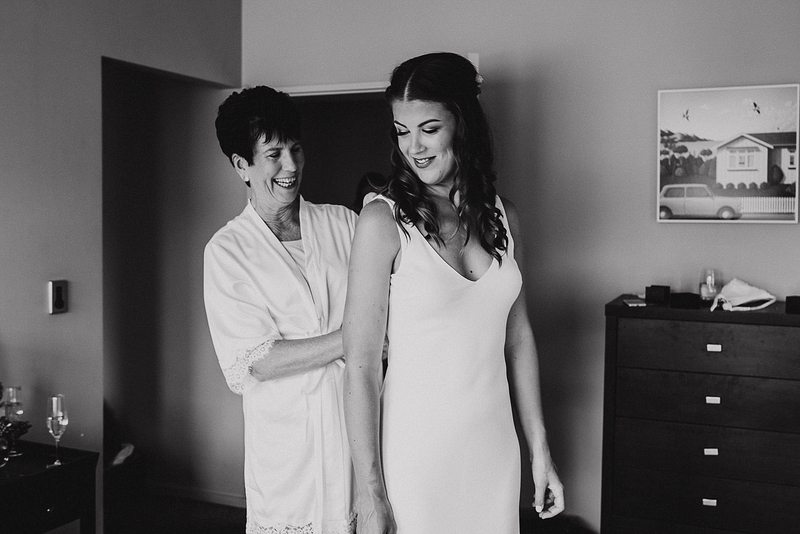 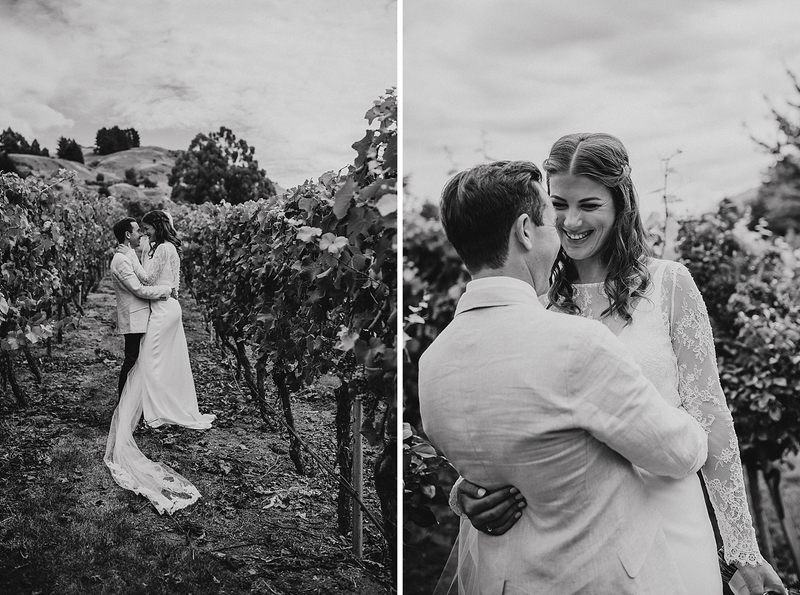 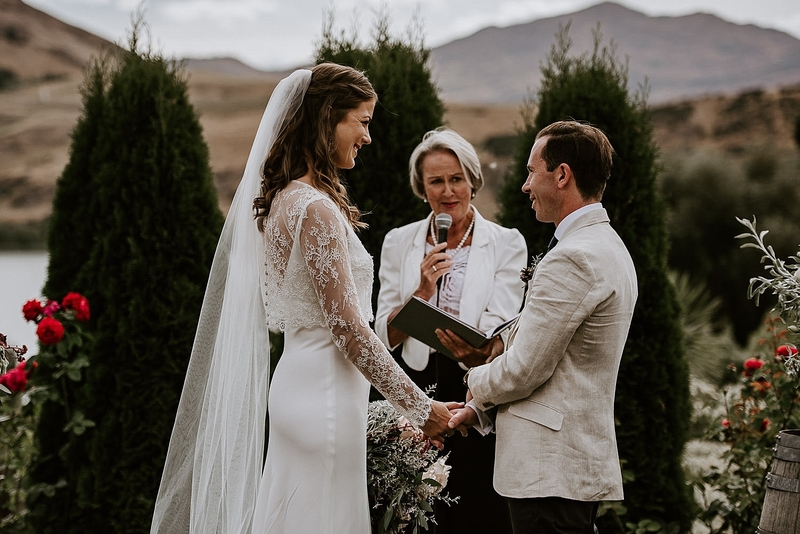 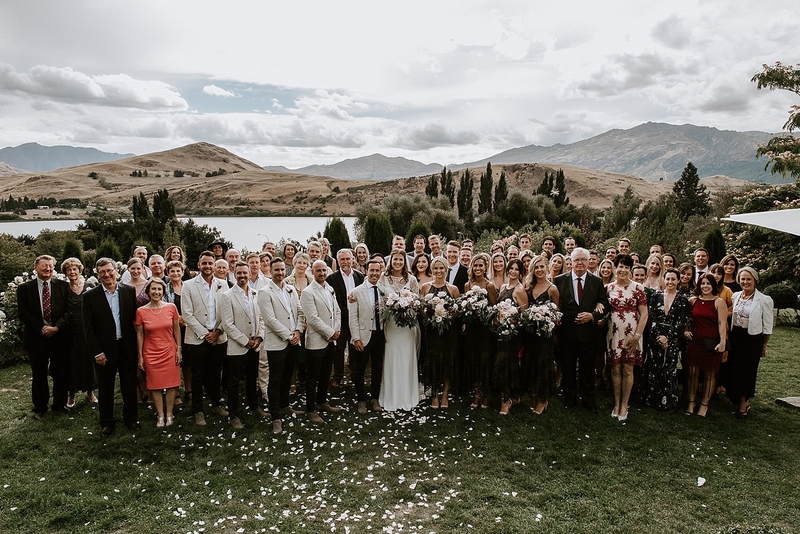 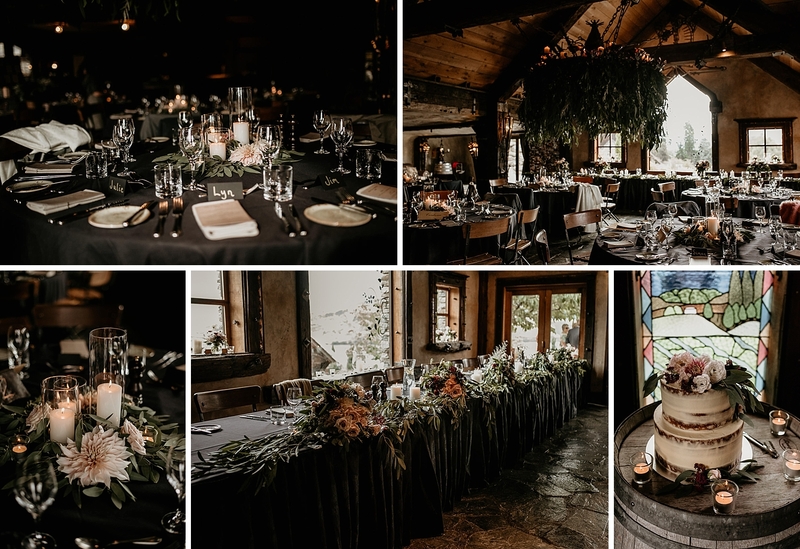 Adele & Dom had an awesome group of guests come all the way from Australia to come a witness their wedding in Queenstown, and to be honest, who wouldn’t want to travel to Queenstown for a mini holiday/wedding. 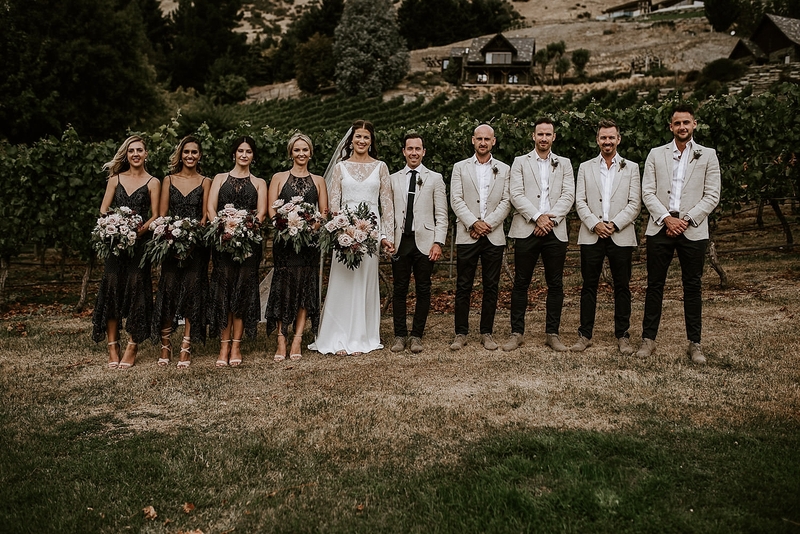 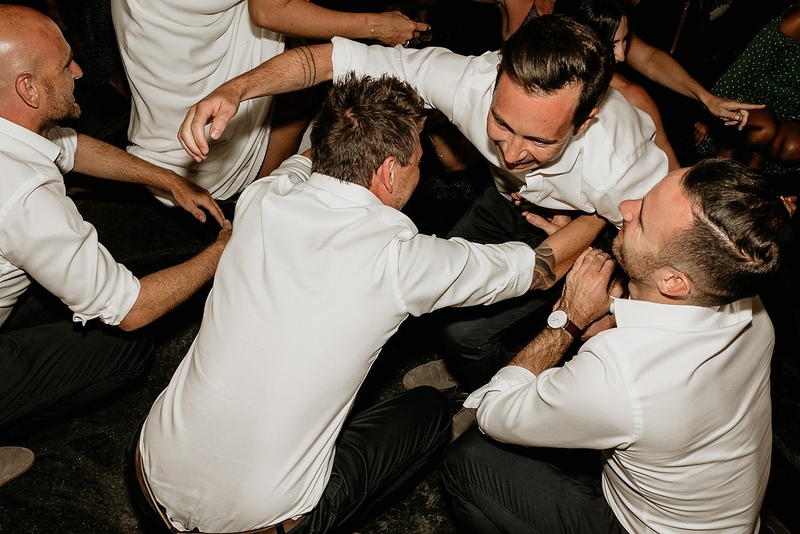 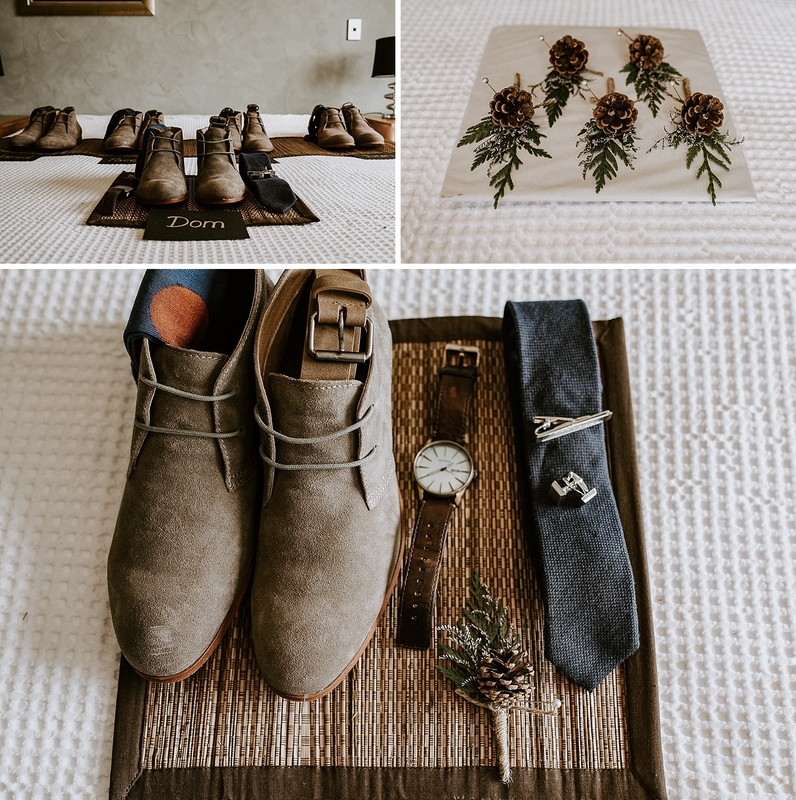 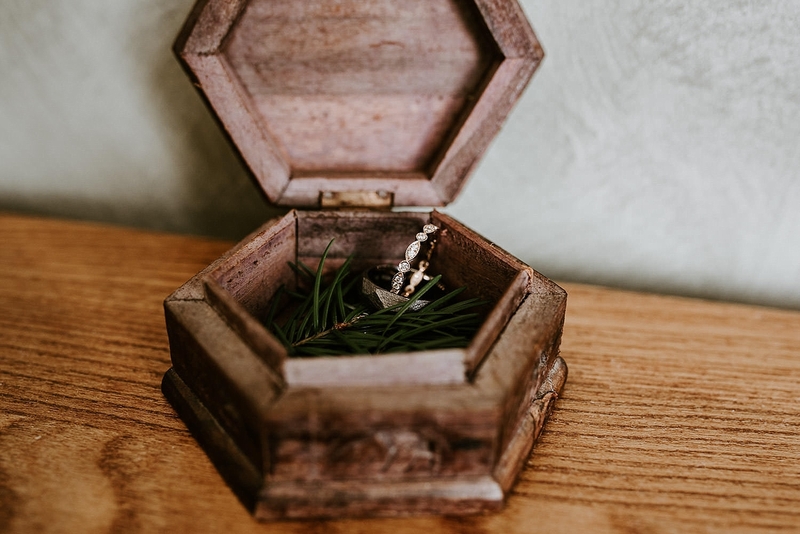 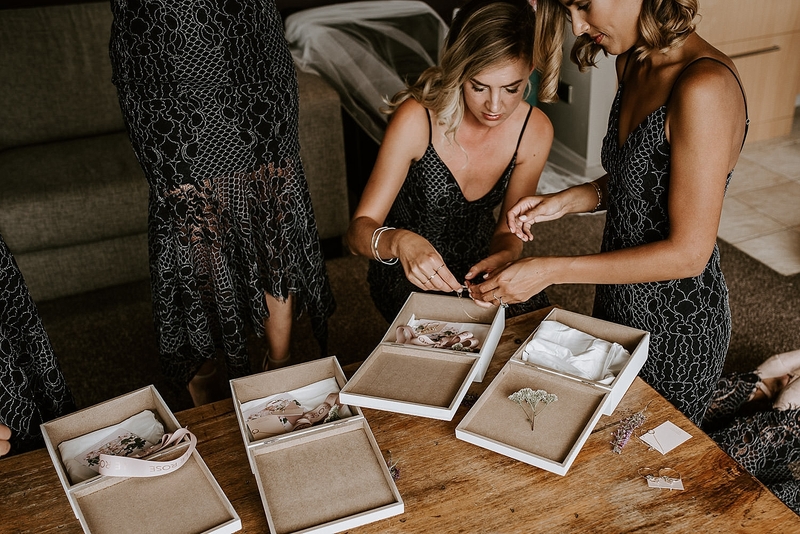 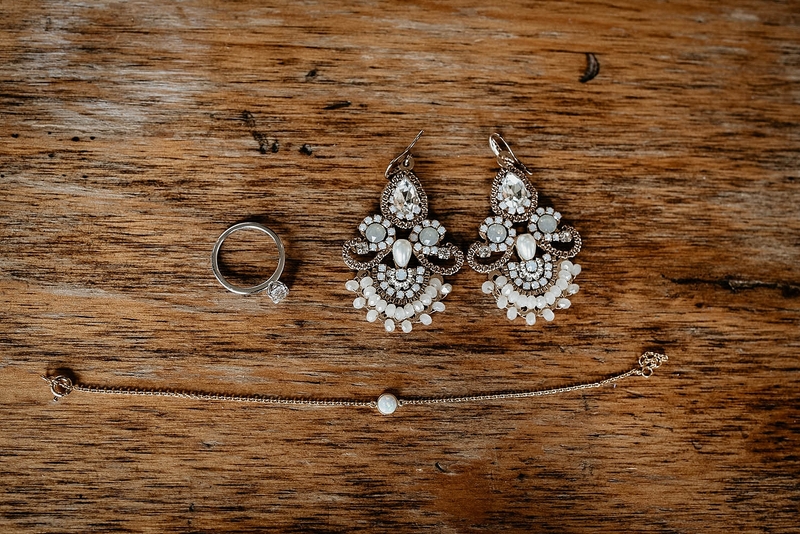 Their stylish wedding party were a hoot to photograph and they all looked so good! 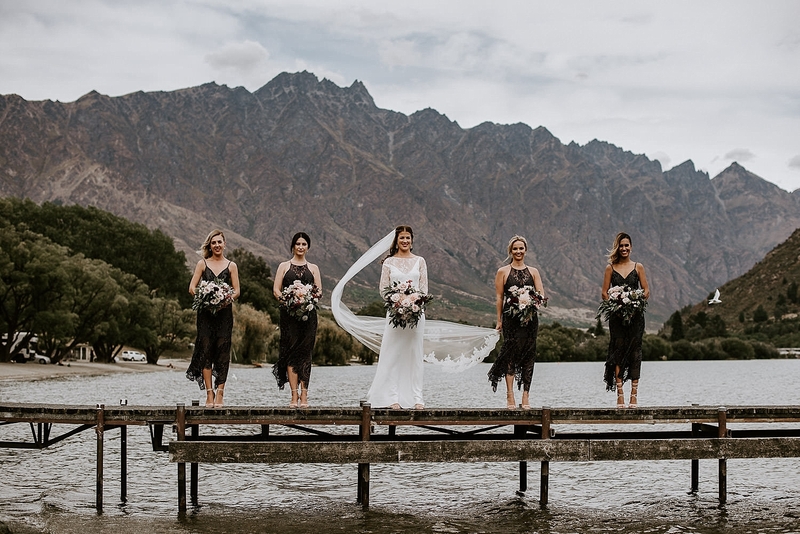 First I took the girls to a special place on the way to the ceremony to pop the champagne and have a special moment. 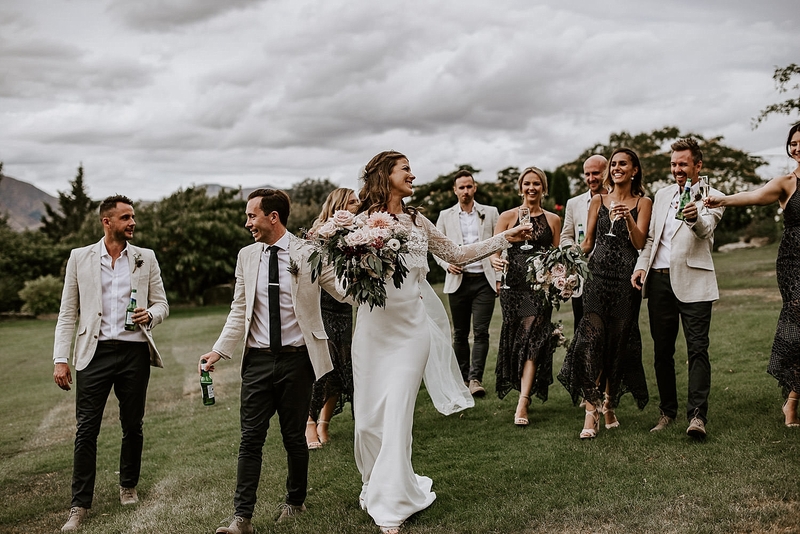 After the ceremony the bridal party wondered around the Stoneridge Estate grounds sipping on drinks and laughing. 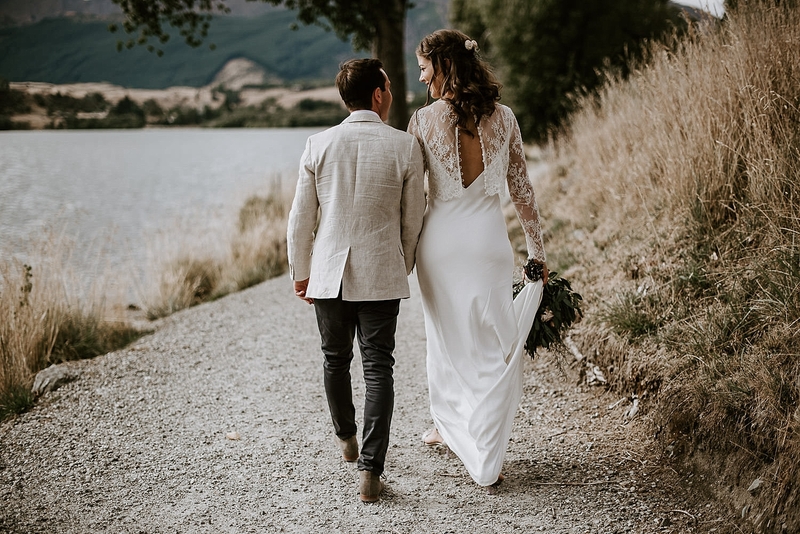 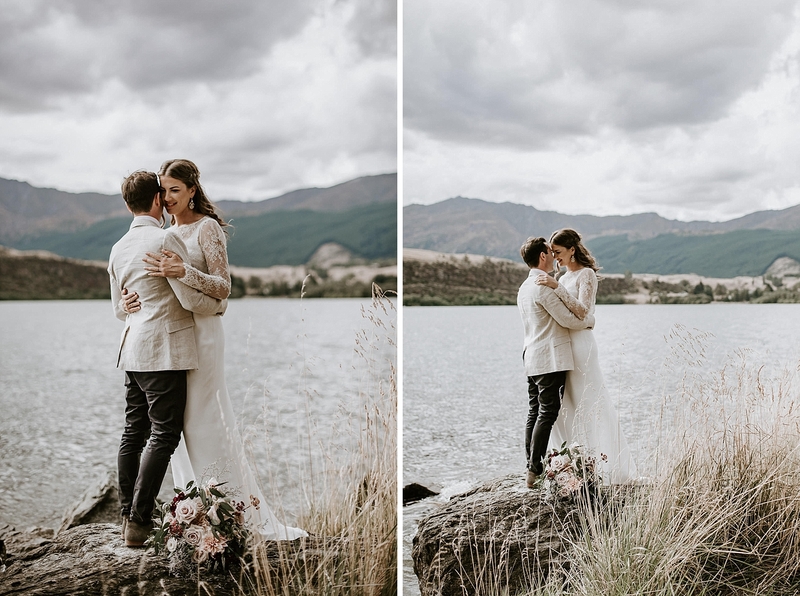 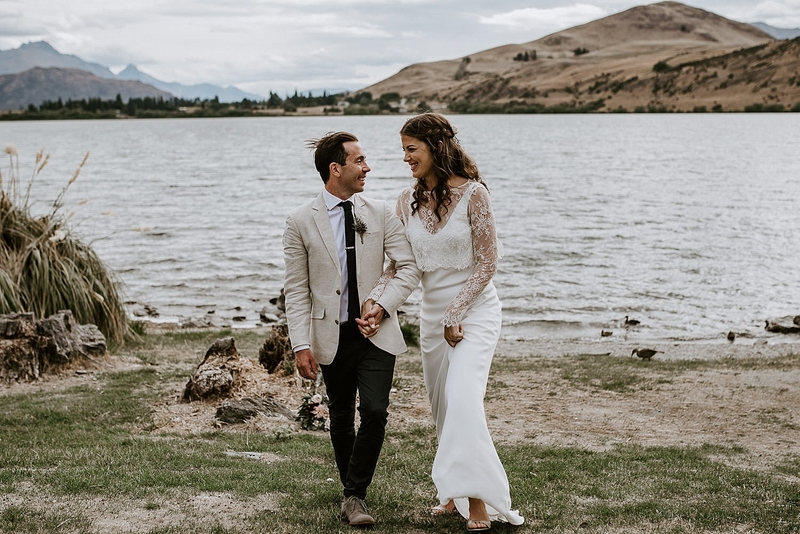 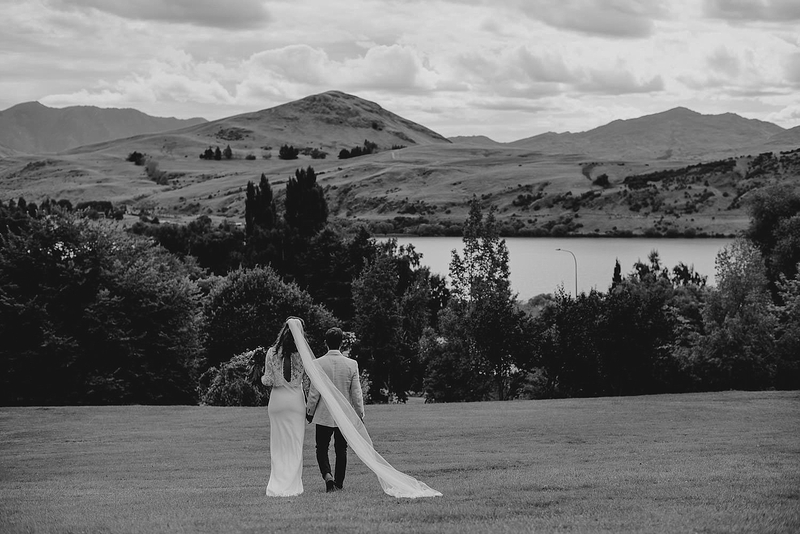 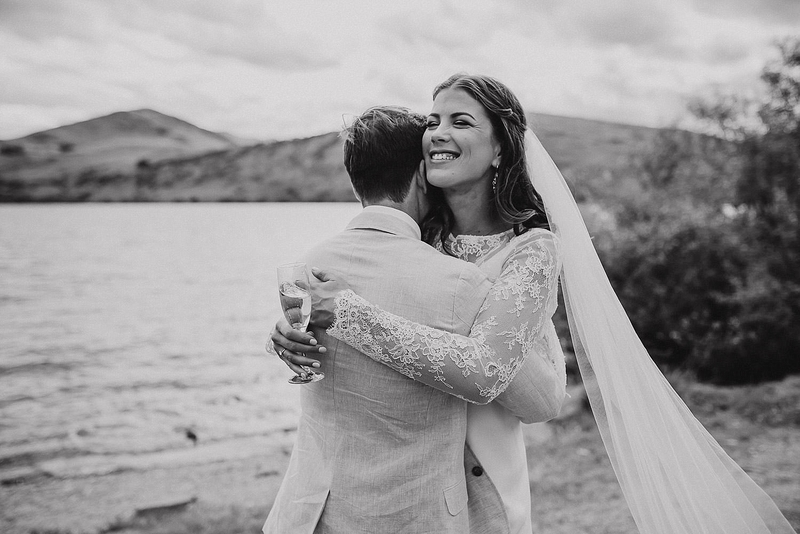 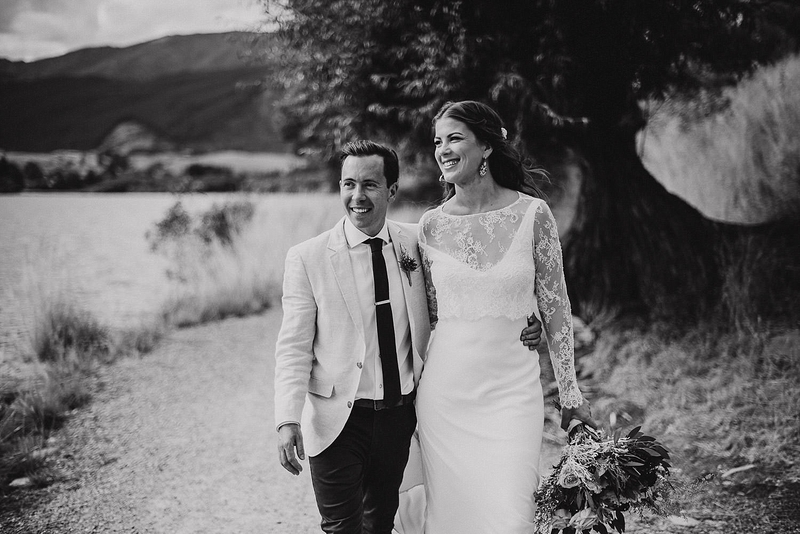 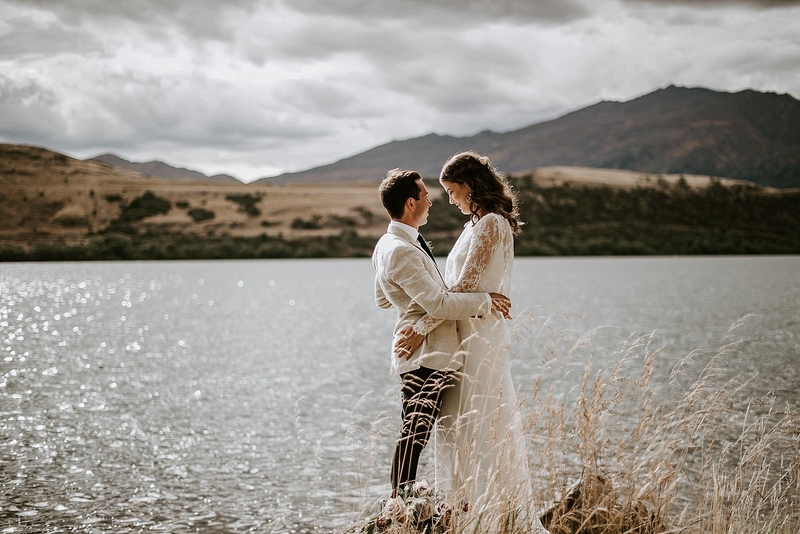 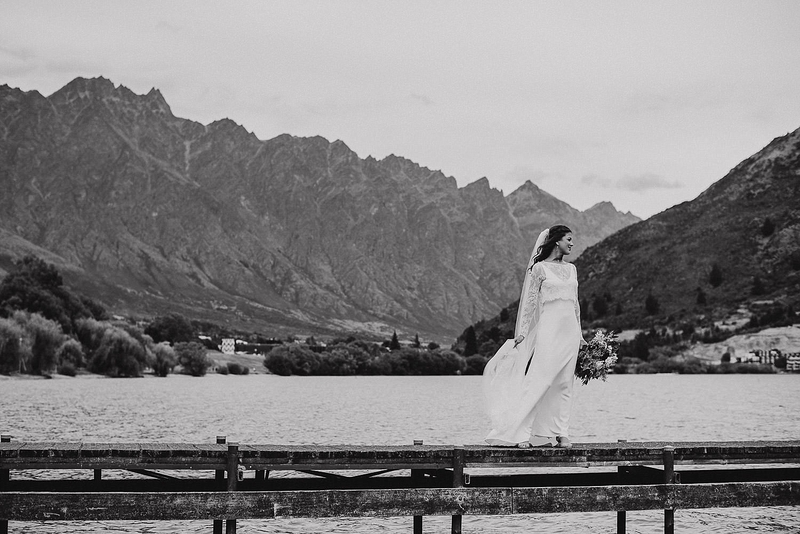 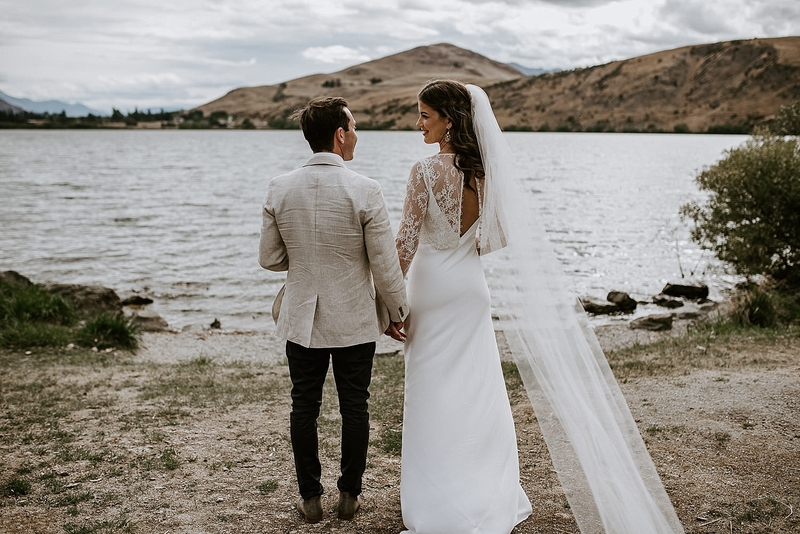 Adele & Dom got to enjoy a wee quiet moment by the Lake Hayes before coming back to their guests and party! 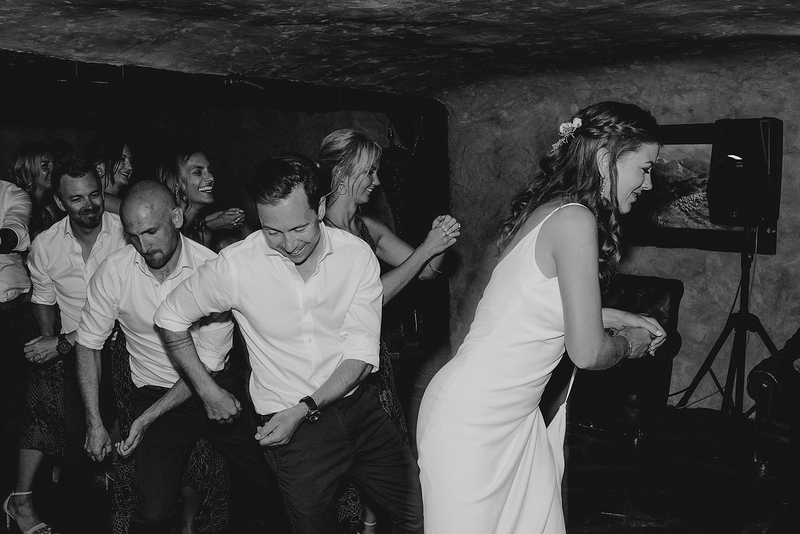 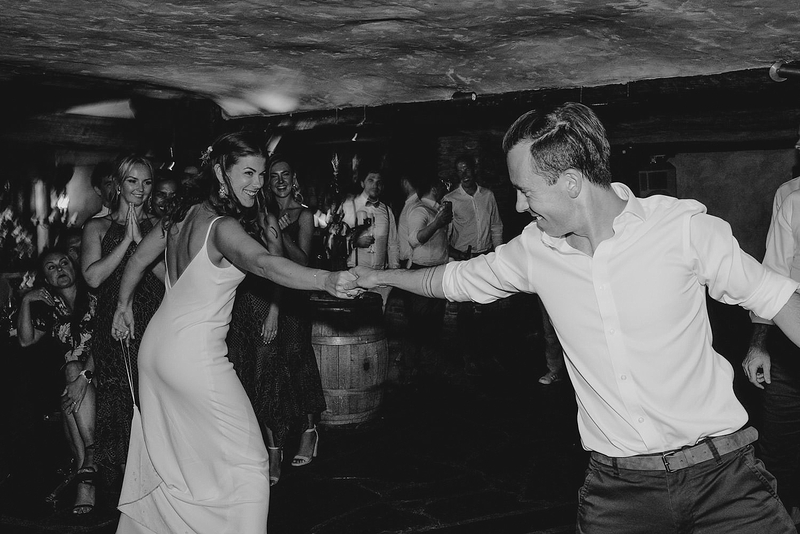 They make quite an entrance when each bridal party couple had their own song and theme to dance into the reception. 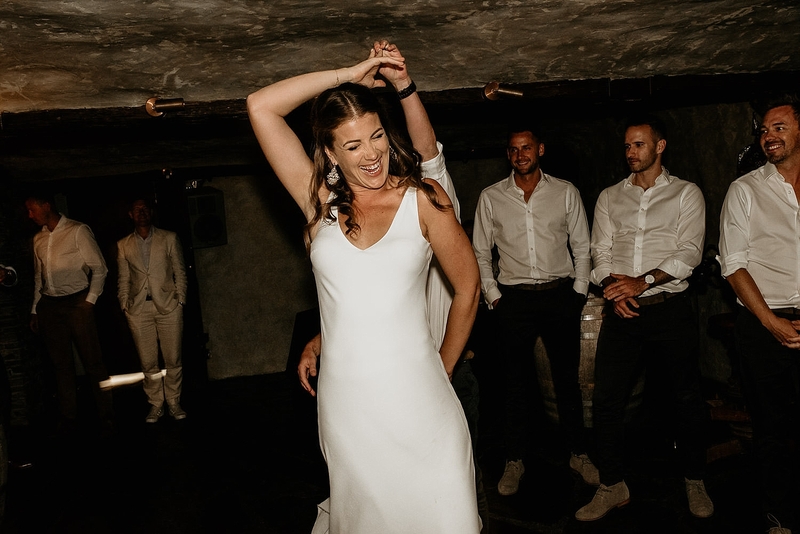 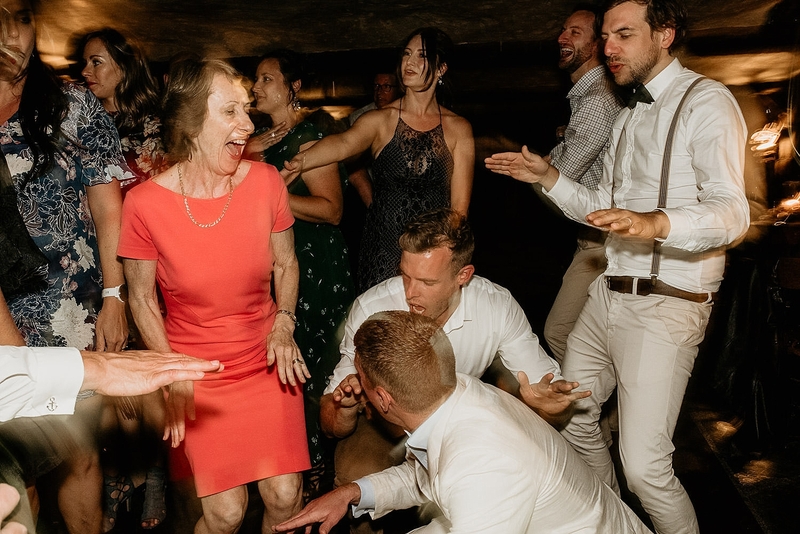 Then they topped it off by doing a bridal party 1st dance which gave me shivers and seriously got the whole wedding on the dance floor with the build up.